Within the sprawl of holistic treatments that the Indian subcontinent offers, the specialty spas draw your attention to one dominant aspect of a retreat. Be it Yoga, Ayurveda, Organic Cuisine or just some simple pampering. While the union of these therapies and elements can be customized and integrated for guests, the key treatment is hinged on decades of experience and expertise of a single kind at these specialty spas. Explore the intensity of the treatments for a deep and meaningful effect on your spiritual being. This is nothing less than a journey of revival. Ancient Indian sciences have contributed much to bringing awareness about the idea of self-awareness to the world. In these spa retreats, you are ensconced in a mélange of therapies with expert guidance and time-tested methods of achieving a holistic sense of well-being. The healing energy and the relaxing vibe is palpable from the time that you arrive at these spas till the time you leave. These are truly sanctuaries of peace and serenity, where losing yourself to days of self-discovery come naturally. Even a simple massage or beauty treatment, can leave you feeling your best. Try these spas, not only for their serious therapies, but also modern treatments that are short in duration and leave you refreshed. Heritance is a conscious celebration of simplicity, purity and respecting natural heritage. This comes in the form of stone cottages, tinged only slightly with colour. Drawing directly from the elements of the earth, it is here that you share a secret with your surroundings. Such is the silence that even whispers are ample to drown out any sound. The spacious villas are infused with green spaces within, so you never lose touch with nature. Affording absolute privacy, it is just you and your natural surroundings that get ample time to be one. Despite the attempt for a seamless relationship with nature, the resort offers all modern amenities for your comfort. In such an environment, peace comes naturally. Throw caution and worry to the winds and pamper your senses at Heritance. It is the essential slowing down that paces you with the rhythm of nature once you are at Heritance. And the spa helps you accentuate this experience. To recalibrate, experience time tested treatments of Ayurveda, which is built on the basic premise that the external universe is imbedded in the human body. It is one of the most revered and trusted branches of medicine and healing, through a tradition handed down from sages 5000 years ago. Let a consultant understand your bio energies, to work a combination of treatments - both external and internal. Using an effective blend of traditional oils and age-old methods of massages, the mind is guided into a rested state, which further induces a sense of peace. This divine state of well-being is enhanced when the trusted hands of the therapists amaze you with deep rhythmic movements. Add to this a cleansing diet to help you achieve the best from your therapies. Whether it is relief from medical problems or a basic rejuvenation process, the spa at Heritance is geared to handle anything. 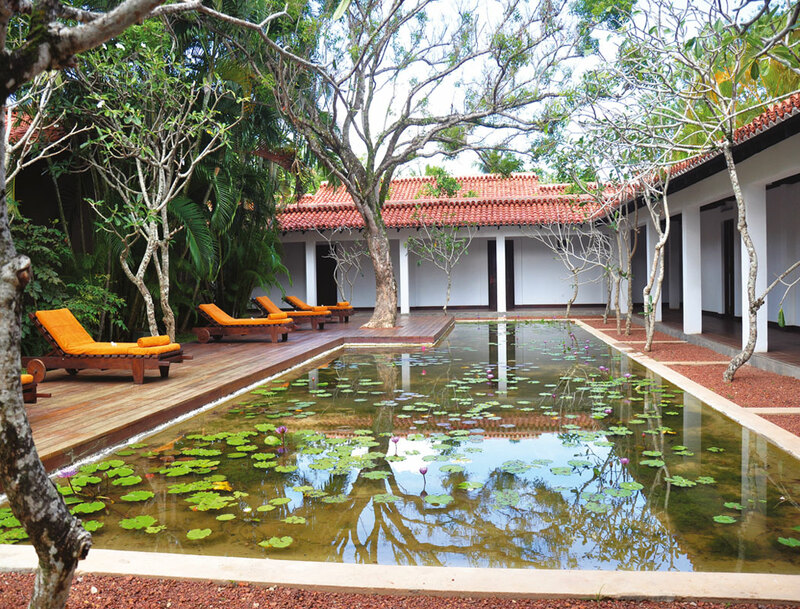 Kalari Kovalam is another expression of healing. It is the place where the mind, body and soul are tuned together in a wonderful harmony, with the help of ancient spa practices of Kerala. Add to that the ethnic cuisine, warm hospitality and smiling faces and you are sure to be enthralled. You will be able to witness a change in yourself in just a few days after the supervised treatments and therapies. It is prudent to sign up for at least a few weeks to optimise your trip here. 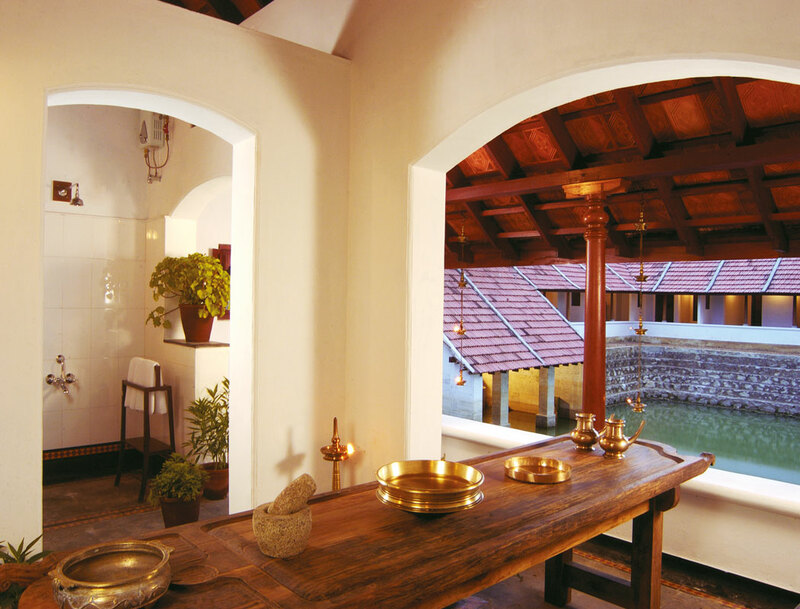 The setting is a massive ancient bungalow, restored meticulously and tastefully to keep the charm of traditional Kerala alive. 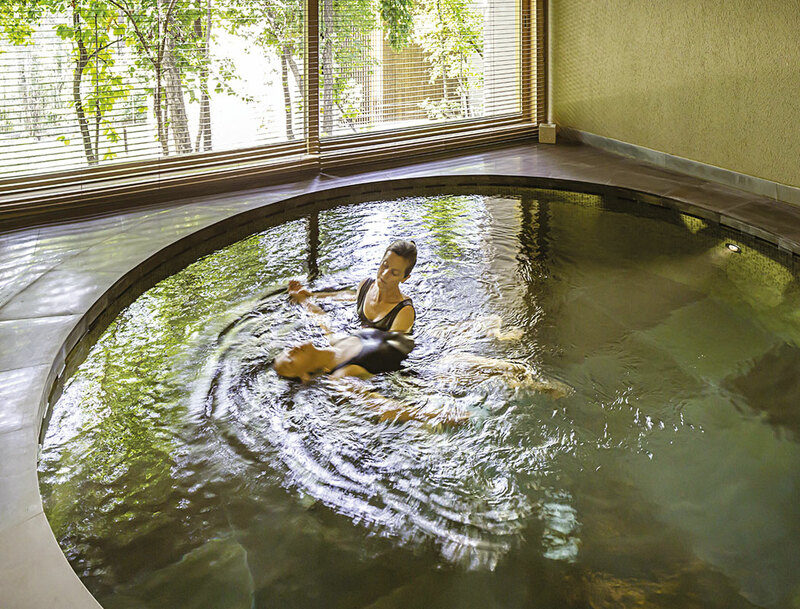 Purify – your mind, body and soul in the legendary land of Ayurveda. At Kalari Kovilakom, it will feel like re-birth. Rooted in strict traditional practices, this is as authentic as it gets. With the treatments, surrender yourself to the benefits of Yoga and meditation. There cannot be a better place, with the sound of the waves in the near distance and a warm tropical breeze that blows to fall into a state of relaxation. Also take some time out to visit the fishing villages to immerse in the local vibe of Kerala. Long-term healing programmes are structured with the help of Ayurvedic practices for anti ageing, slimming, anti stress and rejuvenation. Cuisine and spiritual practices create an additional balance. If you are looking for deep-seated changes from within, this is the place. 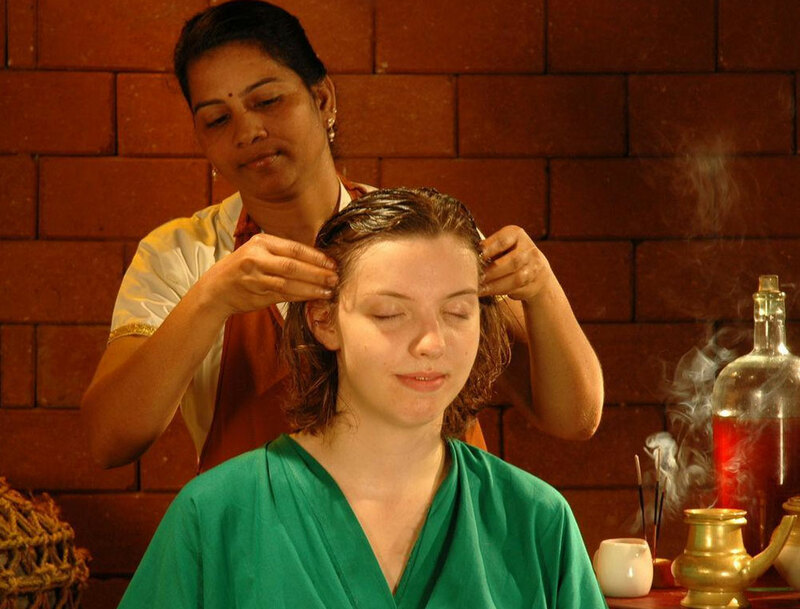 At Kalari, you’re closest to the ancient science of Ayurveda and in the hands of experienced therapists. In fact, before you step into any therapy, there is a detailed discussion with the in-house doctor or expert and only then do you embark on a journey of wellness. With Yoga and Ayurveda, the instruments that take you to on this inner voyage, you can understand the needs of your mind, body and soul, and embark on a new and improved way of life. The Shreyas wellness experience is unmatchable. A luxury yoga retreat, this is the place where rejuvenation will come easily. Apart from the instructed spa therapies and treatments, there are additional aspects that draw you into the world of holistic healing. Fresh herbs, picked from the property’s own extensive organic garden, are used in all the preparations of food. Purest of spices and organic ingredients are cooked in a full fledged Ayurvedic kitchen, creating simple vegetarian dishes that will delight the senses and heal the body, in tandem with the Yoga practice and any treatment. A secluded haven of tranquility, this is the place to head to, if you want to unplug. Here, you are offered a space for reflection, introspection and an opportunity to nourish your mind, body and soul. It is a perfect combination of luxury pampering as well as a regimented routine geared for holistic healing. It all starts with some time with the in-house expert who assesses your body type and understands your intention, before assigning a combination of nutrition, yoga and therapies for you. At the end of your stay, it will be like you are born again. With a strong foundation of Yogic practices, the journey to inner peace is accentuated with the help of Ayurvedic massages and beauty treatments. Guests find their time here infinitely valuable. The retreat offers simple but effective Yoga kriyas, that include meditation, Pranayama, deep relaxation and more. All with the help of well-trained experts. Even the rejuvenation spa offers a wide range of Ayurvedic therapies, relaxing massages & organic scrubs and masks freshly prepared from our organic gardens. At Shreyas, you are ensconced in a cocoon that is ideal for self-discovery, by providing a space for reflection & introspection and yogic processes to start healing you. A retreat that is focussed on all four aspects of your well being – physical, mental, emotional and spiritual – Vana is an essential stop for the holistic healing seeker. It lies in the foothills of the mighty Himalayas in the Doon Valley, surrounded by a dense forest, the perfect ambience for reflection and rejuvenation. Here, one automatically tunes into the nurturing and nourishing qualities of nature. The 21-acre retreat is dotted with luxury rooms as well as a massive expanse allotted only for spa treatments and therapies, under the supervision of experts. Enrich, both the physical and spiritual with customized treatments, cuisine and guided meditation and yoga, along with a bespoke retreat of your choice. The choice of tailor made experiences makes Vana a special wellness retreat with is all about subtle luxury and meaningful holistic healing. The retreat offers 55 individual private treatment and consultation rooms. These are spread across the Ayurveda center, Tibetan healing center, wellness center, spa and aqua-fitness as well. Vana has an exclusive philosophy towards design and a unique approach towards well being. You see it in all aspects of the stay. Panchakarma, Yoga, natural healing, detox, fitness, relaxation, weight management and beauty come under the purview of a wholesome retreat at Vana. Since the retreat is geared for bespoke treatments, these can be changed at will with discussion with the in-house experts. The wellness treatments are complemented with exclusive food and well thought out nutritional menu, made from fresh herbs and organic vegetables from the resort. For an experience of creating a ‘brand new you’, visit Somatheeram Ayurvedic Resort on the shore of the Arabian Sea in Kerala. The almost three decades old resort is rooted in the ancient traditional practice of Ayurveda and follows its tenets with alacrity. In fact, this is one of the top retreats that are well known for its traditional system of Ayurveda for healing and relaxation. With the world’s oldest healing system at hand, this trip is going to be nothing short of cathartic. Along with the treatments, enjoy superior Keralan hospitality with room made in local architecture and an extensive menu of organic dishes. Decades of experience in Ayurveda make for a strong foundation of revitalization of the body. The stunning views of the Arabian Sea amplify the days at Somatheeram. These two, alone make for a compelling reason to visit Somatheeram. 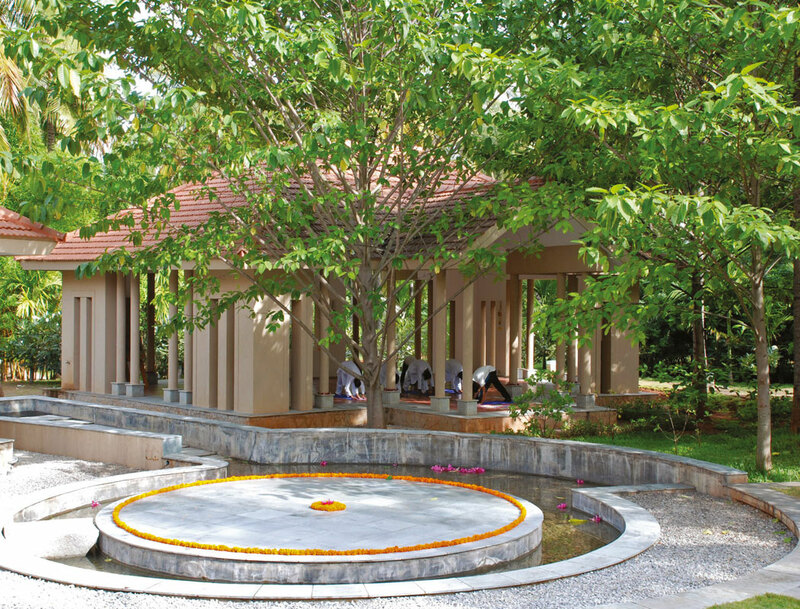 The 360-degree care that leads to the revitalization of the mind, body and soul is the highlight of the retreat. The treatments are prescribed by the experts and only done by instructors who are ace in their field. While Ayurveda holds sway over the retreat, you can amplify the experience with Yoga and meditation as well. Authentic Ayurvedic treatments like Pizzichili, Dhara, Vasthi, Nasyam, Kativasthi and a host of others make for a comprehensive menu for guests looking for serious treatments. An intensive and comprehensive discussion with the in-house Ayurveda doctor precedes everything else at Somatheeram. Only when the body type is identified that a regimen is scheduled for the individual. Bespoke treatments and therapies are the draw card of the holistic healing retreat that is single-mindedly focussed on the wellness of the clients. A substantial list of treatments and therapies are available to choose from.